In the first post on the Father’s love I introduced both the challenge and the importance of seeing God the Father as loving. As we meditate on the biblical truths of the depths of his love and begin resting in that love we will be refreshed with newfound freedom and security to keep drawing near. Therefore, thinking rightly of God our Father is not just a matter of having our theological ducks in a row but it’s a game changer in living the Christian life. We will consider seven NT examples of how God puts his love on display for us, wanting us to know about it and be wrapped up in it. 1) The Father’s love for us is nowhere more clearly seen than in the sending of his only Son—freely, unprompted, undeservedly—to reconcile us back to himself. 2) The Father’s love for us is seen in that Jesus is sent to reveal the Father to us. The Father desires to be known and understood. 3) The Father’s love can be seen in the friendly and familial vocabulary describing a believer’s relationship with God. He is not only our God, he is our Father. 4) The Father expresses his love in the comfort he gives, and even in the fact he calls us to find our comfort in his fatherly embrace. 5) The Father loves us by giving good gifts. He enjoys us enjoying him as we enjoy his gifts. Every child erupts into joy when a parent gives them a present. That doesn’t change with age, although hopefully our happiness in giving does increase over time. God is the original and unrivaled gift-giver. This exhibits not just his care and provision for us—although that is true—but it expresses his generous and glad heart towards his children. If we go back to the Bible we’ll see how God has revealed himself to us. “Every good and perfect gift is from above, coming down from the Father” (James 1:17). “Yes, the Lord will give what is good” (Ps. 85:12). Paul makes gratitude a prominent theme in his writings. I think the reason, in part, is because when we truly see God’s love in giving gifts to us our hearts feel genuine gratitude. That is consummated as we return thanks to God. “I think we delight to praise what we enjoy because the praise not merely expresses but completes the enjoyment; it is its appointed consummation.” Gratitude becomes worship. The Bible uses a number of words to express this: gratitude, thanksgiving, praise, and bless (Col. 3:15; I Thess. 5:18; Rev. 7:12). Each of these words connects our response to God as the giver of all good gifts. The tightrope we’re walking here is enjoying God in his gifts instead of idolizing his gifts. David Pao explains: “Thanksgiving in Paul is an act of worship. It is not focused primarily on the benefits received or the blessed condition of a person; instead, God is the centre of thanksgiving.” God doesn’t want us to minimize or fail to find pleasure in what he provides because we’re paranoid about committing idolatry. He wants us to delight in his gifts not as competition of our affections but as conduits to them. The gift should always lead to the giver. Jesus argues from the lesser to the greater to bring home the reality of God’s goodness. “If you then, who are evil, know how to give good gifts to your children, how much more will the heavenly Father give the Holy Spirit to those who ask him” (Luke 11:13). The best examples of earthly fathers in their generosity and love in giving good things to their kids is a tiny picture of God’s greater love communicated to us in his gifts. God has blessed us with innumerable blessings, both physical and spiritual, and the more we see them as gifts the greater opportunity we have to rest in and relish his Fatherly love. In other words, one way to see God’s heart of love for us is to see the gifts that come from his hand to us. Ann Voskamp, One Thousand Gifts (Grand Rapids: Zondervan, 2010), 118. C.S. Lewis, “The Weight of Glory,” in The Weight of Glory and Other Addresses (Grand Rapids: Eerdmans, 1965), 10. John Piper, God is the Gospel (Wheaton: Crossway, 2005), 141. 4) The Father expresses his love in the comfort he gives, and even in the fact he calls us to find our comfort in his fatherly embrace. It’s a picture I’ve seen one hundred different ways and yet it’s always the same: a small son or daughter running into the outstretched arms of their dad. Whether a child is hurt or afraid there is nothing they so desperately seek than the comfort of a father. Unfortunately, because of the brokenness of our world, there are all too many kids without dads and so their experience is the unmet need of a father’s presence. But, God’s promise is to be a father to the fatherless as we’re made children of God through Christ (Ps. 68:5). Mothers and fathers are equally important despite their differences—and I think both embody different attributes of God—but a father gives a sense of protection, safety, and security in his embrace. If fathers limited in their power and hindered by their shortcomings can provide such things just imagine what the presence of a Father without any weakness, able to be always and everywhere present, boundless in power and the ability to protect, and perfect in love might offer to his children. God’s love to us is shown in the many ways he’s acted graciously to us and offered mercy, but the uniqueness of comforting-love expresses the fatherliness of God. “Blessed be the God and Father of our Lord Jesus Christ, the Father of mercies and God of all comfort” (2 Cor. 1:3). It’s a different nuance than comfort, but in Romans 15:5 Paul also calls him the God of encouragement. God the Father comforts and encourages his children in a tender and caring love. He does not turn them away or pile up heavy discouragements on their backs. Do we think of him in such gentle terms? In the Old Testament, God offers many words of comfort to his often broken-hearted people (Is. 40:1; 66:13). One morsel given to Israel was this: “I, I am he who comforts you” (Is. 51:12). In the midst of Israel’s exile and the hope of deliverance God promises that he will be their comfort. Life offers many moments of tragedy and pain, even more occasions for frustration and disappointment. Although we do our best to appear outwardly strong and having it all-together, even as adults we are frail children ready to crumble at any moment. We feel scared, unsure, hurt, confused, and often alone. There are answers to questions and explanations to life’s hardships in the Bible, but more often than not those don’t give real comfort. But, God himself does comfort us. The discomforts in this world are no match for the comforts of our Father. He wraps his strong but soothing arms around us. His presence can fill the gap where we feel lost or alone. Richard Sibbes encourages humbled Christians—bruised reeds—that “[the Father’s] presence makes any condition comfortable,”  meaning that his presence brings comfort to the most unpleasant of circumstances. We should ask for and look for the comfort from our Father. He longs to see us return to home and when he looks out his window and sees us from afar he will run to us (Luke 15). The comfort of the Father never goes away. It is not wearied or exhausted by our sins and it isn’t given because we’ve earned. The Father comforts because he is the God of comfort. His love is seen both in the act and in the warm heart that calls us to come to him to receive it. In our mind’s eye we see God with arms crossed ready to criticize or condemn, but God himself assures us that he stands with arms opened ready to welcome and console us. May our meditations on the truths of who God is change the relationship we experience in who God is to us and for us. Richard Sibbes, The Bruised Reed (Carlisle: Banner of Truth, Reprinted 2008), 9. Before Christ we were enemies of God, separated and condemned because of our sin. God is holy and will not let wrongdoing go unpunished. However, when we believe in Christ—the one who God did not spare so that he might take the full punishment of our sins—we are no longer enemies but children. Consider the following three verses as examples. The longing in every person’s heart for a father who cares, loves, and protects points us to the perfect Father. Our greatest earthly examples of fathers are but a tiny glimpse of the goodness of God. Here again we must let the Scriptures speak for God and refuse any seditious thoughts Satan or self might project on God. God holds himself out to us as a Father who will always love his children. This love is unconditional, free, eternal, and undeserved. It is not won or kept by performance but is given as a promise. We should embrace him as sons and daughters, not fear him as servants. God wants to be known and seen in this way which is why he uses intimate and familial language of Father and children. “But when the fullness of time had come, God sent forth his Son, born of woman, born under the law, to redeem those who were under the law, so that we might receive adoption as sons. And because you are sons, God has sent the Spirit of his Son into our hearts, crying ‘Abba! Father!’ So you are no longer a slave, but a son, and if a son, then an heir through God” (Gal. 4:4-7). Paul was well aware how quickly we retreat back to fearing God as slaves so he presses the truth we can trust him like children. Here’s one way I think about it. Imagine two people in your mind’s eye. First, imagine someone you feel comfortable with because you know how much you’re loved and accepted. Maybe that’s a spouse, parent, best friend, or a person at church. When you’re with them you don’t ever have to worry about being anything other than yourself. Imagine a second person you feel like you always have to measure up for, or who you don’t ever really feel at ease with because it seems you always have to impress them or be on your best behavior. You think if they saw the real you or you don’t do things just right then they wouldn’t like or accept you. Maybe this person is a parent, an employer, or a “friend”. Now, think of the difference if you were just sitting in your living room with the first person either watching TV, reading, or talking. How free do you feel? Now imagine the second (intimidating) person is hanging out in your living room? How do you feel? You probably feel fearful or anxious, like you have to be on. Unfortunately, many of us think about God as if he’s this second person. We relate to him as if we’ve got to impress him or convince him we’re good. We don’t think he loves us and accepts us. This changes our relationship and how we act. The Bible describes our relationship with God differently. “For you did not receive the spirit of slavery to fall back into fear, but you have received the Spirit of adoption as sons, by whom we cry, ‘Abba! Father!’” (Rom. 8:15). Because of our justification in Christ, the Bible describes God the Father as the person in the room we should completely trust and therefore find rest with—awake to the fact we are truly known and yet fully loved and accepted. The Father doesn’t hold back love until we do change or earn it. It’s a full stream of love that is unconditional. Imagine if we thought of and related to God on these terms. How different would your daily Christian life be if you believed and experienced that God is completely for you? This freedom puts oxygen back in our lungs that had been sucked out by fear. It’s the difference of practically living according to the gospel and living according to works. God is a Father who sees us and knows us, yet still loves us. He doesn’t put up with us, instead, he loves us and even likes us. This releases us from anxiously keeping up a façade or toiling to attain his love. We can rest in the way he delights in us. We don’t have to dress up before him in our nice clothing like we’re entertaining a guest. Instead, since he’s family, we can put on our jeans and enjoy the company. “The LORD your God is in your midst, a mighty one who will save; he will rejoice over you with gladness; he will quiet you by his love; he will exult over you with loud singing” (Zephaniah 3:17). One book I would recommend in this area is Scotty Smith’s Objects of His Affections. Do differences unite or separate? In a fallen world we struggle to see goodness in God-ordained diversity, and the unfortunate outcome is often conflict. However, God’s design is that the church, a glimpse of light in a dark world, should display a blueprint for unity in diversity. 1) The Father’s love for us is nowhere more clearly seen than in the sending of his only Son—freely, unprompted, undeservedly—to reconcile us back to himself. If you missed this first point you can read it here, otherwise today we’ll jump into our second example. 2) The Father’s love is seen in the incarnation where the Son is sent to reveal the Father to us. Jesus is the revelation of God to us as one of us. “[Jesus] is the radiance of the glory of God and the exact imprint of his nature” (Heb. 1:3). He is “the image of the invisible God” (Col. 1:15).This is most clearly stated in John’s prologue (1:1-18), where the Word takes on flesh and dwells among us, but this theme must be seen throughout the gospels. The OT background of the word is “his powerful self-expression in creation, revelation, and salvation.” When an OT prophet received a word from the Lord it was more than just a message. It was God’s revelation of himself to his people. The clarity and beauty of God’s self-revelations gets ratcheted up when God the Son dwells among us. As the Word, he is the self-expression of God. Jesus is God and reveals God to us. This points back to the Father’s love because it proves he wants to be known in a way that is clear, intimate, and according to truth. Because God is not like us in so many ways and cannot be seen or touched there are moments he seems distant. It might even make him at times seem hard to relate too. But, God doesn’t want things to stay that way so he sends Jesus to show us the Father. Philip said it would be enough if Jesus would show them the Father, and Jesus assures them that the Father is seen and known through his son Jesus (John 14:9). This is what John meant when he wrote, “He [Jesus] has made him [God] known” (John 1:18). God has expressed himself, and he has done so most vividly and visibly in his son Jesus Christ. In his typical style C. S. Lewis wrote: “He is the self-expression of the Father—what the Father has to say. And there never was a time when He wasn’t saying it.” Jesus takes our vague or slightly distorted notions of God and gives us the real picture of the Father in his fullness of grace and truth. When we think about the beauty, humility, and glory of the incarnation we should also find comfort in the Father’s desire to be clearly and intimately known by us. If the Father seems distant or unapproachable we should look to the incarnation of Jesus to see just how near and inviting the Father has come. The incarnation is God’s evidence he wants to be in relationship with us but it also the proof that he wants to be known rightly, clearly, and intimately. This is one reason why I try to consistently stay in the NT Gospels. The more I see Jesus in action, hear his teachings, watch his encounters with people, and consider his redemptive works I will see the heart of God the Father behind it all. It should astound us that the infinite, transcendent, and perfect God would make knowing us and being known by us one of his highest priorities. What a joy that God is a Father who doesn’t just show mercy—and that would be wonderful enough—but he wants a real relationship where he know and love him. Our perceptions of God become fuzzy and distorted when we look at earthly figures of fathers or authorities. However, when we look at Jesus the character and compassion of the Father is clearly and accurately put on display. D. A Carson, The Gospel According to John (Grand Rapids: Eerdmans, 1991), 116. Loving God is hard. That’s a strange thought in light of the fact God is the only perfect being with boundless love and unending goodness, untainted by even the tiniest spot of evil. And yet, our experience proves that loving God is in fact curiously hard for us. Even more remarkable is how difficult it can be to let ourselves be loved by God. There is no richer, more desirable and comforting place for the Christian than in the love of the Father. But, there is no more alienating and lonesome place than to feel estranged from His love. For many Christians, the love of Jesus comes through loud and clear, but God the Father often seems distant and looming. Unfortunately, many of our perceptions of God have been distorted by earthly shadows. Usually topping the list are experiences of fathers who failed, dealt with us according to our performance, or were a figure invoking more fear than freedom. Coming in at a close second might be religious leaders or other authority figures heavy on the “truth” and light on the “grace. Because of those inadequate human representations of God and because of performance-driven tendencies assuming God relates to us according to what we deserve, we must hit the refresh button on our false notions with the truth of God’s Word. Not just once, but we need to go back to the Scriptures repeatedly to let God’s priceless promises silence our false fears. Rinse and repeat. Throughout Scripture, God reveals himself in relationship (covenant) through his words and actions. These demonstrate his character, motives, purposes, and attributes. God being the perfect being that he is, his attributes aren’t like human traits that strengthen or weaken nor are they like moods that come and go. God is all his perfect attributes perfectly, all the time. One of those attributes is love. God is love and therefore expressions and illustrations of his love fill the Bible. Those are the facts, but unfortunately our experience doesn’t often beat to the drum of those facts. We might read the Bible and yet struggle to see the Father’s love. We find it hard to believe it can be true. We resist and keep God at arms distance. Sometimes we do this because we don’t feel his love on a day to day basis like we desire and so walls of doubt begin to shut him out. Other times we unwittingly read his word not through the lens of God’s love and grace to us in Christ but through tinted lens of condemnation and fear. For some then, it takes work and careful reading so as to not misread the Scriptures with their assumptions of God—based on past experiences or personal feelings—but to read and see beautiful ways God expresses his care, compassion, and kindness to us. Rest assured, the work required and the patience you might need to keep at it in the midst of discouragement are worth it in the end. Growing in both believing and feeling the Father’s love leads to the warm embrace of assurance and the joy that it brings. My hope is that our grasp of God’s love will move from a general and vague idea to a sweet and personal experience. God desires as much and once the fountain of the Father’s love is opened we’ll find ourselves stepping into new streams of gratitude, contentment, joy, and safety. The examples in the story of the Bible proving and picturing God’s love abound. Here are seven such examples—one at a time—from the NT of how God clearly and convincingly conveys his fatherly love to his children. The Father’s love for us is nowhere more clearly seen than in the sending of his only Son—freely, unprompted, undeservedly—to reconcile us back to himself. We love Jesus for his sacrificial suffering on the cross to rescue us from sin. No question about it, Jesus deserves every ounce of gratitude and love we possess. But, don’t miss that the same Scriptures showing us Christ’s love in dying also reveal the immense love of the Father in sending and sacrificing. “For God so loved the world, that he gave his only Son, that whoever believes in him should not perish but have eternal life” (John 3:16). He so loved us that he gave his only begotten Son. No verse has been placarded in more places than John 3:16 and yet somehow we miss the particular and pursuing love of the Father as the dispatcher. The Father is the fountain of the love and Christ is the stream that carries it to us. Every time we return to the cross and find ourselves awash in the love of Christ be amazed at the Father who sends. Whether from the lies of the accusers or deception from our own minds, Christians can act as if Jesus is the good guy who convinces the fear-inducing father to show mercy. It’s as if we think the NT story is that God wants to bring down the gavel because he’s fed up with our unrelenting bent to ruin things. So, to patch things up, the Son sneaks away from heaven and shows us love by dying in our place. Now the Father is compelled to become a tad bit gentler with these new and unwanted family members Jesus brought home. Of course, we wouldn’t say we believe anything close to that but that’s how all too many people unconscientiously view God the Father. In reality, this couldn’t be further from the truth. The Father dearly wants to be in a loving and intimate relationship with us so he sends the Son to bring us back. Both the Father and the Son stagger us in the way the cross expresses their love. The Bible reminds us that the Father sent Christ for us with a full awareness of how sinful, broken, and messy we were. “But God shows his love for us in that while we were still sinners, Christ died for us” (Rom. 5:8). Isn’t that the point of grace? We certainly didn’t deserve it before receiving Christ nor do we earn or keep it because how we act as Christians. The all-encompassing work of Christ covers our sins from the past, our sins today, and our sins in the future. There are no exceptions. No “but you don’t understand what I’ve done” and no “my case falls outside the lines.” There is no sin too filthy to outmatch the purity of Christ’s blood. There is no one who has sinned so often or to such a degree that they’ve exhausted the infinite grace Christ purchased for them. This unmerited and unprompted love of God shines even brighter against the backdrop of our dark and ill-deserving condition. That’s why John erupts into saying, “Here is love!” when he thinks about the Father giving Jesus to get wayward children into his family. “In this the love of God was made manifest among us, that God sent his only Son into the world, so that we might live through him. In this is love, not that we have loved God but that he loved us and sent his Son to be the propitiation for our sins” (I John 4:9-10). God knows all things fully and so make no mistake, he knew better than you how undeserving you are, but he still sent Jesus to save us from our sins because he loves us and he wants us back. John Owen called this the great discovery of the gospel. Without the gospel we can only think of God as offended and angered by our sin—and rightly so—but through the gospel our relationship is reconciled and changed so that we can now know him as love. In the gospel God offers some amazing benefits of salvation but none are greater than the gift of himself. It is a gift of communion with God as our Father, full of an affectionate love our hearts ache for. Every day we have vivid reminders of our sin and so we return to the gospel to find grace that justifies us not because of what we’ve done but because of what Jesus has done for us. This glorious and free grace comes to us through Christ but finds its initiating source in the Father. In his wonderful book The Bruised Reed, Richard Sibbes pushes us to not only see the beauty of Jesus in willingly taking the commission of Savior, but also to “see the sweet love of God [the Father] to us,” in commissioning his Son for the work of our salvation. “This saving object [Jesus] has a special influence of comfort to the soul, especially if we look not only on Christ, but upon the Father’s authority and love in him”. The cross is the exclamation and the evidence of how much the Father loves us. I watch the following video often as a reminder of the “mega-love” (Piper) of God. Richard Sibbes, The Bruised Reed (Carlisle: Banner of Truth, Reprinted 2008), 2. I’ve been blogging my way through The Bruised Reed by Richard Sibbes. It’s only a couple of chapters a week and I’m now halfway through the short book. Books are like movies in that it’s hard not to make your most recent favorite your all-time favorite. The temptation to overstate things notwithstanding, this is quickly becoming one of my favorite books. Sibbes was known as “the sweet dropper” and throughout this book the sweetness of the gospel is thick. He wrote against the Catholic (“popish”) remains in religion such as a reliance upon external behaviors without consideration of the sincerity of the heart and ritualistic forms of penance instead of genuine repentance. Later Puritans outside a heavy Catholic context would write with other issues at the forefront. In Chapter 7 of The Bruised Reed, Sibbes addresses two main concerns. First, he investigates some things that might hinder comfort, and secondly, he answers the question whether our weaknesses should keep us from our Christian duties. In the first section, he addresses four ways our comfort and assurance might be hindered in the person who is a “smoking flax.” Whither those hindrances come from Satan or from within the answer is the same: fly to Jesus and open up your complaints to him. As he mentions earlier in the book when discussing the bruised reed, Sibbes here mentions that remaining sin and a struggle of comfort can be an opportunity to be honest about our helpless estate and lean harder upon the mercy and supply of Christ. The realization of the weakness of the flesh can lead to a more steadfast watching and purging of the flesh, and a thirst for pardoning grace from God. The bright compassion and grace of Christ can be seen more clearly against the backdrop of our dark hearts. Furthermore, the fact that there is in us a discontent with our weak state of grace and an unhappiness to remain might conflict us in the moment but it gives comfort by its evidence that we are not happy in our sin. Such is a mark of the work of the Spirit in us. In the second section of chapter 7 he encourages believers to keep performing their duties even when they don’t feel like it. Though their faith might be weak and they struggle to believe anything they do might actually change the situation or be pleasing to God, don’t let feelings trump the truth. Having seen the compassion of Christ to a bruised reed and smoking flax throughout the whole book, “it should encourage us to duty that Christ will not quench the smoking flax, but blow on it till it flames” (50). The image their is striking. Though there is but a spark of grace in us, Christ will stir this spark into flame by gently breathing into it. Sibbes gives the example of prayer. Although our efforts in prayer might be weak and our thoughts unclear and confused as we pray, this should not keep us from praying. Weakness in prayer is always better than not praying, and the same is true in all Christian duties. “Christ looks more at the good in them which he means to cherish than the ill in them which he means to abolish…Christ loves to taste of the good fruits that come from us, even though they will always savour of our old nature” (50). Going back to the example of prayer, Sibbes preached these words to his congregation: “There is never a holy sigh, never a tear we shed, which is lost. And as every grace increases by exercise of itself, so does the grace of prayer. By prayer we learn to pray” (51). In chapter 8 Sibbes asks where these discouragements come from. From what he’s already said about God he reasons with us that these discouragements cannot come from the Father, the Son, or the Spirit. They cannot come from the Father because he will “pity us as a father pities his children (Psa. 103:13)” (56). They cannot come from Christ. “We see how Christ bestows the best fruits of his love on persons who are mean in condition, weak in abilities, and offensive for infirmities” (56). And finally, they cannot come from the Spirit because he is our comforter (Rom. 8:26; John 14:16). “If he convinces of sin, and so humbles us, it is that he may make way for his office of comforting us” (57). That conviction is quite different from the discouragement the author has in mind. So, if they do not come from God then what is the source? “Discouragements, then, must come from ourselves and from Satan” (57). The next chapter-“Believe Christ, Not Satan”-will continue on with this line of thought. In his last sentence Sibbes exhorts us to flee from our Accuser and run to our Advocate. “In time of temptation, believe Christ rather than the devil. Believe truth from truth itself. Hearken not to a liar, an enemy and a murderer” (61). 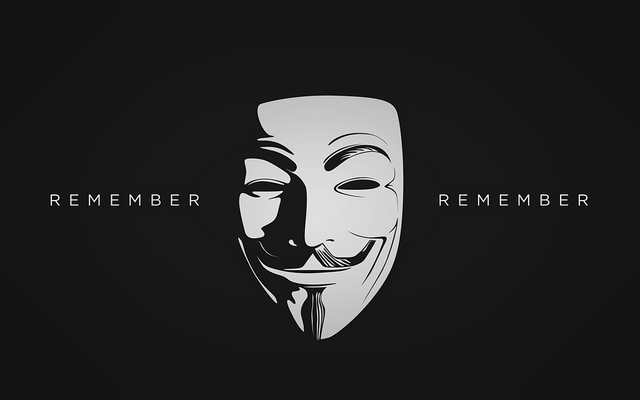 If you’re like me, when you read those two words “remember remember,” your mind runs to the movie V for Vendetta. Referencing Guy Fawkes and the failed Gunpowder Plot on November 5, 1605, the character known only as V quotes the famous poem: “Remember remember, the fifth of November…” As I much enjoy the movie and would recommend reading about the Gunpowder Plot in England, this post has little to do with V for Vendetta or Guy Fawkes. I bring up the idea of remembering because I came across the word as I read I Corinthians 11. A section in this text deals with the Lord’s Supper—also known as Communion or Eucharist—and verses 23-26 are often quoted by pastors as they administer the bread and the cup. I love participating in Communion and find it to be one of the most spiritually enriching and faith-rebuilding gifts God has given us. Unfortunately, most churches downplay both its significance and its force, which is why so many evangelicals place such little value on it. The combination of its neglect and my appreciation for it tempt me to write more here than I should, which is why I’m restricting myself to writing about the aspect of remembering. In I Corinthians 11:24-25 (see also Luke 22:17-20) Paul recounts the instructions Jesus gave the disciples as he shared the inaugural new-covenant meal with them. Jesus says as we swallow the broken bread (his body) and as the wine (his blood) pours down our throats, we are to remember Christ. Verse 26 lets us know that each time we eat and drink from the Lord’s Table we are proclaiming his death. It is the visible gospel. The Word preached is the gospel we hear with our ears, but Communion is the gospel we see with our eyes and taste with our mouth. The Sacraments (Baptism and Communion) are the God-given visual aids for the church. So then, what does it mean to remember? Does it simply suggest don’t let it slip out of your mind? Does it mean remember the suffering of Jesus so I feel really thankful or really awful—depending on your church’s view? I would guess that when most evangelicals hear the words “remember” or “in remembrance” during Communion we have a limited and rather low understanding of the word. To “remember”, for us, seems like a small mental activity with little force behind it. But, in the Bible, a call to remember—especially when tied to a covenant sign or ceremony—is a vibrant, powerful, and a participatory concept where we reapply and recalibrate our lives according to what’s being remembered. Here are two brief examples from the OT of how remember is used in an active way of bringing past realities into present living. To read other passages on remembering see the following: Psalms 25:6-7; 105:8; Lev. 36:42, 45; Jer. 14:21; Ezek. 16:60. In his book on Paul’s theology, theologian Herman Ridderbos gives us some great insight into the term remember (anamnesis). The Puritan John Flavel provides a practical distinction in two ways one could remember Christ’s death. The first is speculatively and transiently, but the second is affectingly and permanently. Here’s a clue, the second is much better! “A speculative remembrance, is only to call to mind the history of such a person, and his sufferings: that Christ was once put to death in the flesh. An affectionate remembrance, is when we so call Christ and his death to our minds, as to feel the powerful impressions thereof upon our hearts.” If you want to be enriched in your view of Communion, read some of the sermons by John Calvin or the Puritans. You’ll be delighted by the depth and warmth with which they celebrated it. Even in our culture we have some parallels to this active concept of remembering. Renewing marital vows is becoming increasingly popular. Basically, people renew their vows with an understanding that they are remembering what they originally vowed to one another, taking in those commitments once again, and realigning their love, commitment, and marriage based upon the vows that are in place but sometimes forgotten. The first time a couple makes those vows they actually make a covenant to one another and enter marriage. I don’t see the renewal of vows as re-establishing a covenant already in place. Instead, they are reminding themselves in a dynamic way what the covenant vows entailed and how that shapes their marriage relationship each time they remember and live in accordance with them. One of the things that encourages me is the current resurgence in churches of understanding the ongoing application of the gospel. Christians regularly hear from the pulpit and read from the pen that the gospel is believed once for salvation but is reapplied daily as we can confess our sins and receive fresh grace in Christ. This growing awareness of what it means “to preach the gospel to ourselves daily” or to “apply the gospel” might give us some insight as to how we believe in Christ and again receive his grace as we eat the bread and drink the cup of the Lord’s Supper. Every time we take Communion the gospel is proclaimed and we believe and embrace it again—in other words, we remember. It is mystical, but not entirely different from the mysticism involved in the reapplication of the gospel daily for a fresh receiving of Christ’s grace and a renewed vigor from gratitude for such grace. That, in part, is how Communion is a gospel proclamation. It’s not just that we explain the gospel as we give communion or that the elements themselves picture the gospel, though both are true. But, even more, the gospel is proclaimed because when I partake of the bread and blood of Christ it is an act of faith where I’m again believing in Jesus, taking in him and the gospel promises I get with him, remembering the new covenant benefits that are given to me in Christ, and receiving fresh grace from him. My hope in writing this is that we come to the Lord’s table with eagerness and expectancy, believing this is not a dull religious ceremony but a dynamic and Spiritual gospel experience. Michael Horton, The Christian Faith (Grand Rapids: Zondervan, 2011) 799. Herman Ridderbos, Paul: An Outline of his Theology (Grand Rapids: Eerdmans, 1975) 421-22. John Flavel, Sermon XXI in The Fountain of Life (Carlisle: Banner of Truth, 1968) 1:262. I get it. Thinking about the attributes of God can be tough work, but it is work with a payoff. As our minds do the heavy lifting our hearts reap the benefits of bigger affections. We often think of God in small, bland, and largely insignificant terms. We bring God to our level as we construct our view of him by tiny, often misguided thoughts. Thinking biblically—i.e., theologically—quickly leads to our view of God being shattered as we see him getting larger and larger in immensity, glory, and holiness. God’s eternity teaches that there never was a time when he was not. There is no beginning or end to God. “His duration is as endless as his essence is boundless.” Here is one description Charnock provides. 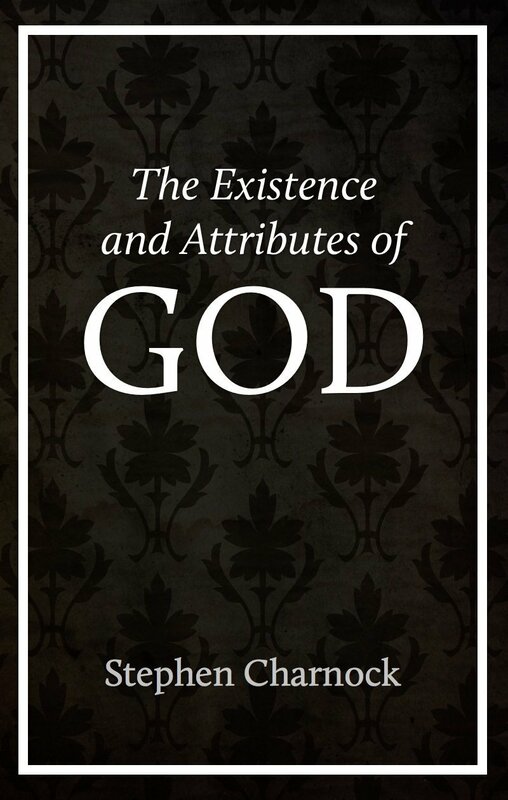 Let’s briefly consider how God’s eternality and immutability are what the subtitle of the book suggests, doctrine for life. If God is all of his perfections perfectly—all the time—then I never have to pit his attributes against one another. Nor should I worry if at any given moment he is acting out one of his attributes more than the other. Because every person I know is the opposite of this, unless I intentionally remind myself God is not like us I will think of him in finite and false terms. For example, how I treat you might depend on not only the day but the moment you run into me. If I had some great coffee and an easy drive into work, then I’ll probably be in a good mood and so I’ll act with more grace and patience than normal. However, if my morning gets off to a rough start or the day goes south quickly, then you’re more likely to get the impatient and graceless me. When I’m not thinking rightly about God I start believing his relationship with me and how he treats me must be similar. Maybe God’s had enough of my failings and is tired of me not getting it—and so I imagine I’m in danger of God deciding to give up or lash out on me. When trials or seemingly avoidable pains are placed on my path I can quickly conclude God is not as good or caring as he used to be. Our faith operates from our theology, and unfortunately our theology often starts to err as it’s built upon false thoughts from our own minds instead of truthful thoughts from the mouth of God (Bible). This is why theology is vital for all Christians. We study the Bible so we can know God better and more rightly. The truth is it takes work on our part to think of God rightly and not piece together a view of God based upon how fallen people act and upon my own thinking and assumptions. Studying God’s eternality and immutability does me good because it reminds me God is not like me or anyone else I’ve come across. He doesn’t relate to me according to up and down moods he’s in but according to his unchanging and perfect character. If he is perfect in all his attributes and is them perfectly all the time, then I can trust he always deals with me according to his goodness, care, and love. In the midst of either frustratingly confusing circumstances or unbearable pain I might not have answers as to the why but I know the Who. During seasons of life where things seem trivial, or where “darkness hides his lovely face,” or even when our hearts are bursting with gratitude, I can know that God has not changed and he is not being anything other than the fullness of God. As James tells us, there is no variation or shifting shadows in God (James 1:17). In you and I, yes; but not in God. That type of theology not only evokes adoration in the moment but it sustains us for a lifetime. For Christians who tend to shrink because of weak hearts, doubting minds, troubling fears, or soft consciences, we would do well to commit ourselves to studying God’s attributes—especially his love, grace, compassion, and care. As we start to grow in our theology of what God is really like it becomes an immense encouragement to know he is all those attributes all of the time to their fullest extent. God is always all of his perfect perfections.
. This of course isn’t to suggest God’s self-revelation doesn’t involve philosophy or science, and it certainly doesn’t suggest God is not accurate in his revelation. It simply conveys that God’s revelation comes in the context of relationship. He reveals Himself as Maker, Sovereign, and Redeemer.
. Joel R. Beeke and Mark Jones, A Puritan Theology: Doctrine for Life (Grand Rapids: Reformation Heritage Books, 2012).
. Stephen Charnock, Discourses upon the Existence and Attributes of God (London: Thomas Tegg, 1840), 242. Found in A Puritan Theology, 65.
. Charnock, Existence and Attributes, 175-76. Found in A Puritan Theology, 63.
. A Puritan Theology, 64. Emphasis mine. The thrust of chapter 5 is that we should reciprocate to others the same mercy we’ve received. Experiencing compassion lends itself to being compassionate, but that requires we understand at the front just how gracious Christ has been to us. Richard Sibbes demonstrates his pastoral heart multiple times in this book. You read him and get the sense he lived and talked among his people in their need and weakness, so much so that he gets people. Chapter 5 opens with another caution to pastors in particular, but it applies to all of Christ’s body. We should be careful not to make things “necessary evidences of grace which agree not to the experience of many a good Christian” (26). That is not quite the same thing as saying there will be no evidences of grace or fruit whatsoever in the life of a believer. Many have pressed undue weights upon struggling saints and thereby have crushed their spirits. Some need an exhortation and the strong teeth of Scripture but others need encouragement and the gentle touch of Scripture. Be wise in what truths you give because some truths are “unseasonable truths” when given at the wrong time or to the wrong person. Spiritual discernment might not be the easy way but it’s how we know whether to choose affirmation or rebuke. There are certainly those without any fruit who should be warned, but the focus of this book are the many burdened Christians who need encouragement for the evidences of grace they do have not discouragement for the evidences they don’t have. Sibbes says we are in fact “debtors to the weak” and should labor alongside as the crawl towards Christ. “We must supply out of our love and mercy that which we see wanting in them. The church of Christ is a common hospital, wherein all are in some measure sick of some spiritual disease or other, so all have occasion to exercise the spirit of wisdom and meekness” (34). If the church were to read and embrace the heart and content of this chapter, the spirit of unity, peace, and gentleness in the church would surely be multiplied. In the next chapter, the author begins with a description of the smoking flax. Sibbes tells us we must have two eyes, one to see the sin in us that remains but another to see the good in us from God’s Spirit. Most of us can clearly see the former but often have a closed eye to the latter; and therein lies reason for why so many Christians feel discouraged. This chapter-like the book as a whole-proves to be a wonderful help to Christians lacking assurance. “Those who are given to quarreling with themselves always lack comfort, and through their infirmities they are prone to feed on such things as will most nourish that disease which troubles them…We must not judge of ourselves always according to present feeling” (35). Sibbes encourages us throughout this chapter not to base assurance on our feelings but on truth, and any work of the Spirit-however small-is in truth an evidence of grace. When we dismiss God’s work in us or others we rob God of his glory and assist Satan the Accuser. Instead of joining the Accuser in condemnation we should look to Christ our Advocate and to what his Spirit has in truth done in our lives. With the remainder of the chapter, Sibbes continues with the thoughts expressed above as he sets out to argue that God doesn’t require grace in a measure, but that “a spark of fire is still fire.” “There is no mere [complete] darkness in the state of grace, but some beam of light whereby the kingdom of darkness does not wholly prevail” (38). He expands upon this with ten points, or rules, to understand why we should see and encourage the smallest spark instead of pouring water on it because it’s not a flame. Just in case this sounds like Sibbes is doing his best to lower the bar for conversion, he’s not. Instead, he’s reminding them not to base their justification on their sanctification while also pointing to the difference between no light and a beam of light. On one side, he cautions us against over analyzing our lives for fruit since we are prone to condemn ourselves and miss what God’s Spirit has done in us. But, at the same time, he does make clear that even though a believer might be in sin there will always be a contrary principle in them making them uneasy with it. God does not give up on his work of sanctifying us because of the sin that remains in us. He is not pleased by sin in us but he is still pleased with us. Our sin doesn’t negate Christ in us and a genuine work of the Spirit, and thus God continues to work in us so we might mature in our faith and experience a greater degree of evidences of grace.